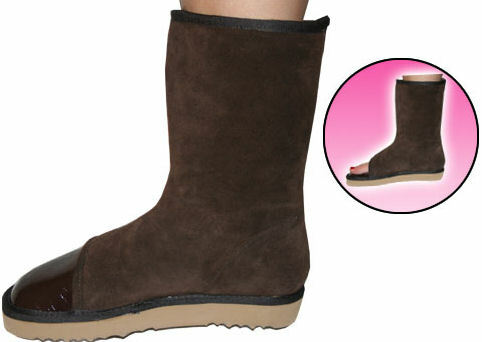 We love these boots from BootiePies and that’s why we’re giving away a pair to one lucky winner. No, these aren’t just ordinary boots. Besides keeping you warm, they magically open in the front so you can get that perfect pedicure the next time you visit the salon. Learn more about this boot and all the other gifts from our 2012 Valentine’s Day Gift Guide, which is HERE! (5) You MUST fill out the short entry form. Also if you tweet the 2012 Valentine’s Day Gift Guide story, which is HERE, by using the “Tweet” button at the top of the page, you will be entered twice. ***Facebook fans must Like this post by hitting the “Like” button at the top of the story. Also if you “Like” the 2012 Valentine’s Day Gift Guide story, which is HERE, by using the “Like” button at the top of the page, you will be entered twice. (7) Enter HERE for your chance to win this prize. (8) Contest ends Monday, February 13, 2012 at 3pm EST / 12pm PST. Winner will be notified either by phone, email, Twitter or Facebook. These boots are so cute. Would love to win them. I love these boots. They are so cute. Would love to win them.